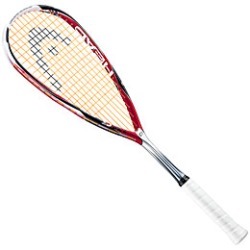 The perfect all round racket - touch, power and great feel! Head's Corrugated Technology is a revolutionary new shaft design that optimises power, torsion, bending and handling on every stroke. Corrugated rails are incorporated into the shaft of the racket creating upto 12% more stiffness than conventional squash racket design. Corrugated rails are incorporated into the shaft of the racket creating up to 12% more stiffness than a conventional squash racket design. The Corrugated Technology provides superior torsion, bending and handling for optimum power in every shot.